This long short layered haircut works with thin hair type as well. Hairstylists advise to go for layers with various lengths and your mane will get volume without using any hair product. It is the best way to enhance the look of your thin hair. You will have both a trendy and healthy hair. The color is also crucial and it may make this pixie wearer look like a fairytale or Tinkerbell. Fringe is longer than the hair at the back of the head. 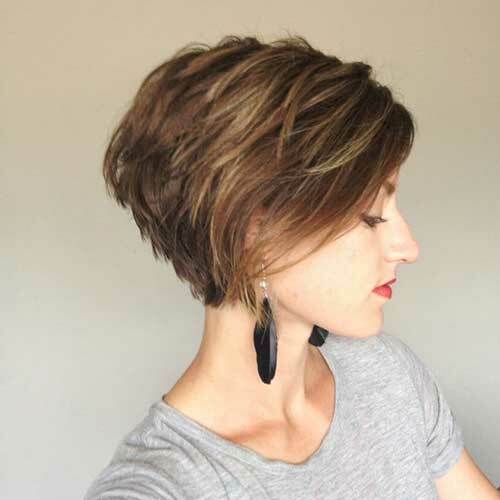 A bit natural volume at the top makes this pixie even more elegant and classic. This hairstyle speaks about a strong character for the wearer. 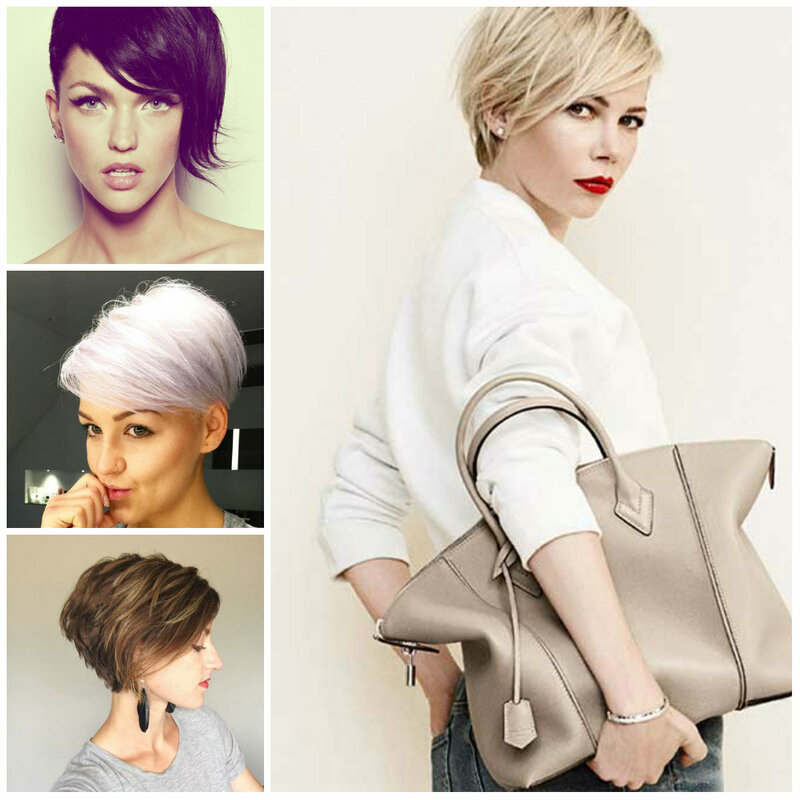 Have you ever thought to get a pixie cut which can be longer in the front and shorter in the back? Asymmetric haircut is the best way to upgrade your pixie. Subtle waves enhance the look of this style and keep its cuteness and attitude is really undeniable. It is the best option for this summer. With short undercut think about getting a height on the top and add to the style more volume. I assure you that your pixie haircut will make you stand out of the crowd. Try to comb your hair aside and draw the deep side. This hairstyle is created for women who like to have an elegant and classic look. Actually getting a volume is pretty easy; just try to use a proper comb (rattail) and hair products. If your pixie is long then you have more options to style it. If you are fond of wild and unkempt styles then look at the picture that we have represented below. With lots of texture on the top, this cut is really outstanding. You think, about replicating this look? Then keep your hair gels and fingers ready for it. Let’s not forget that retro hairstyles are the bases of modern ‘dos. It is never bad to wear vintage hairdos with modern twists. In this picture you can see a pixie haircut inspired by retro haircuts. What do you think about it?